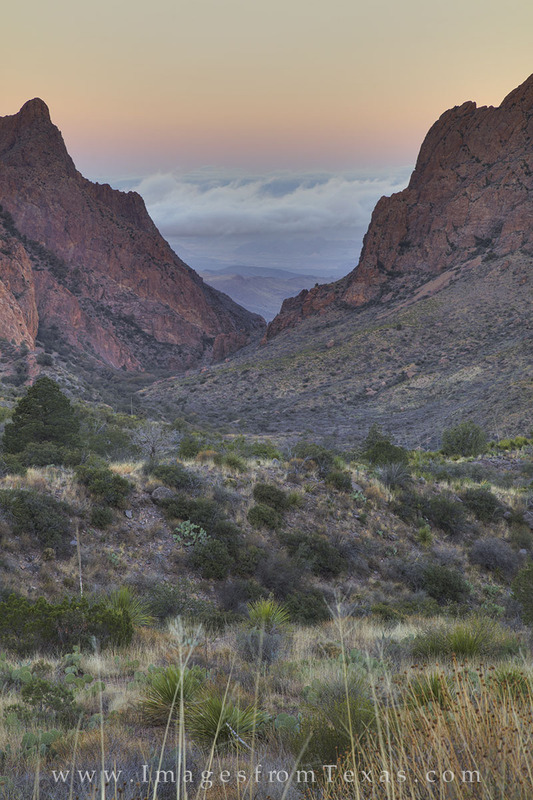 This vertical photograph shows the iconic Window view near the Chisos Lodge in Big Bend National Park. Low clouds hung across the distant Chihuahuan Desert, but from my vantage point, all was quiet and serene. Photo © copyright by Rob Greebon.